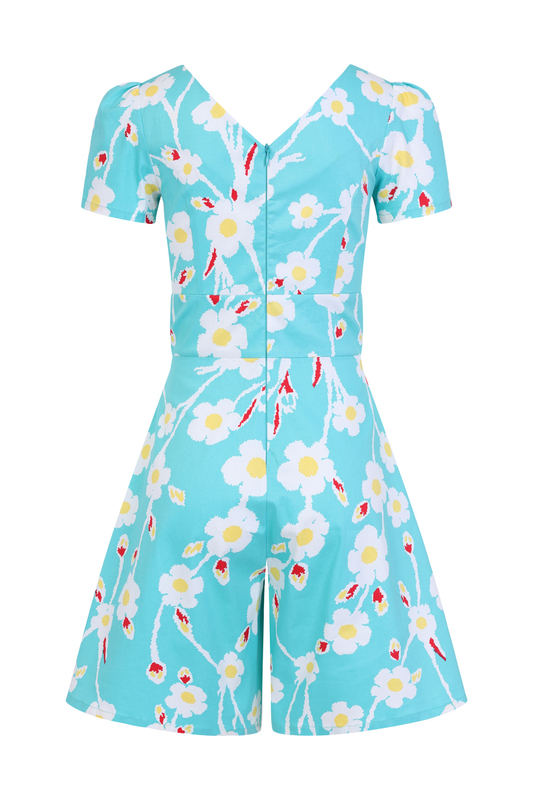 Our new floral playsuit has just arrived! We have included this brand new style for our vintage lovers. 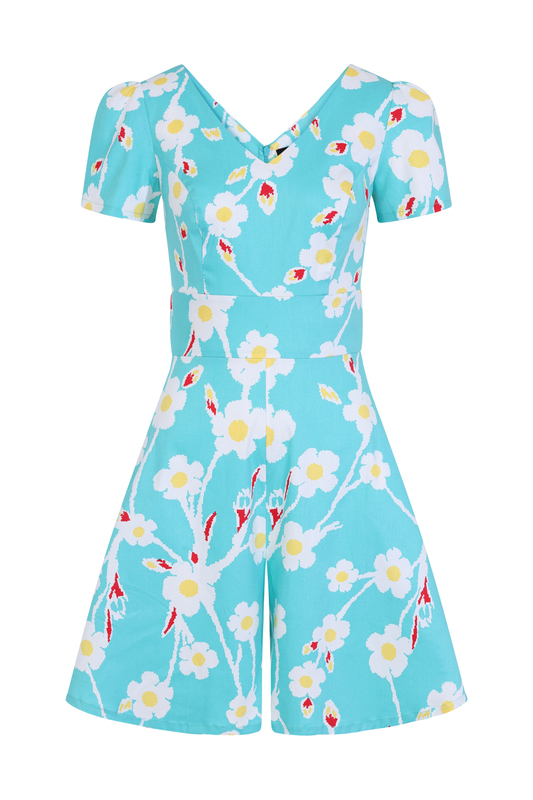 Playsuits are perfect for the summer, giving you a practical and comfortable outfit for those hot summer days. 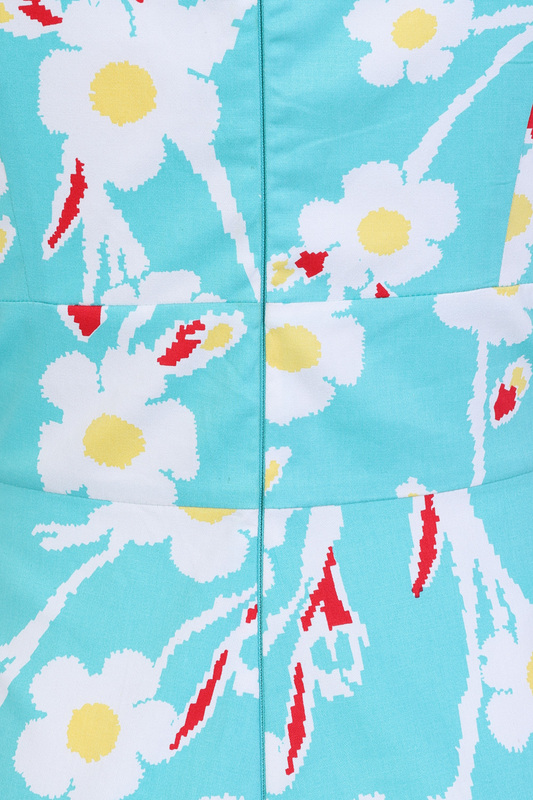 Our vintage floral print playsuit is made from a stretchy cotton blend fabric for a lovely fit. 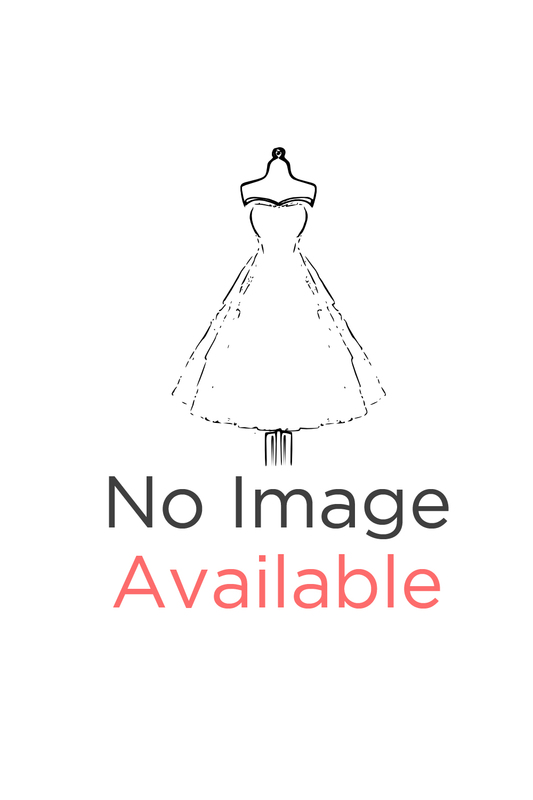 It has v-shaped neckline at the front and back, gathered short sleeves, waistband and wide leg shorts with side seam pockets for extra comfort and practicality. How can we forget about the print! 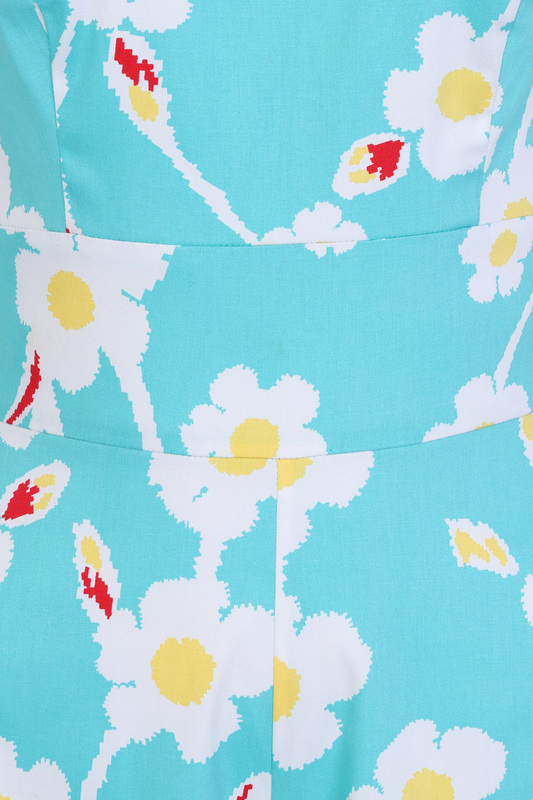 The turquoise ground against the white, yellow and red is a treat for the summer days.